Aimee Mann’s Mental Illness, her first album in five years, will be released on March 31 via her own SuperEgo Records. The record follows 2012’s Charmer, which Rolling Stone proclaimed “shows off the more pop-oriented side to her usual acoustic tendencies.” With this follow-up, she returns to a more musically soft-spoken but still lyrically barbed approach, as heard in the album’s lead single, “Goose Snow Cone,” which debuts today. Listen/share the track here: aimeemann.com. Mental Illness can be pre-ordered now at hyperurl.co/aimeemann. In support of the release, Mann confirms a headlining North American tour this spring, with stops in New York, Los Angeles, San Francisco, Boston, Philadelphia and more. Tickets can be purchased here: aimeemann.com/tour. See below for complete tour details. 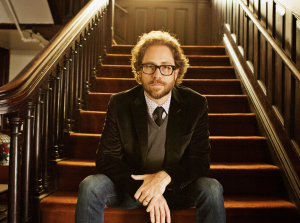 Jonathan Coulton is from the Internet. While a struggling music industry fell to pieces over file sharing and shifting business models, he independently amassed a small army of techies, nerds, and dedicated superfans. He’s known for his songs in the “Portal” games, plus an eclectic catalog of masterful songwriting on subjects from zombies and mad scientists to sad parents and dissatisfied software engineers. He was nominated for a Tony for his songwriting on Spongebob Squarepants The Broadway Musical, and an Emmy for his work on animated shorts for The Good Fight TV series. He is currently the house musician for the NPR quiz show “Ask Me Another” and the founder and host of the annual JoCo Cruise.